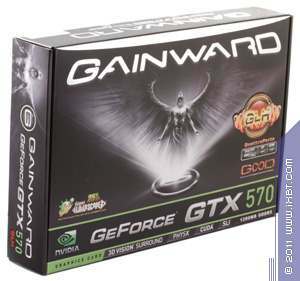 Today we shall review a high-end graphics card from Gainward famous for its "Golden Sample" series among other things. The today's solution has a custom cooler and is factory-overclocked. 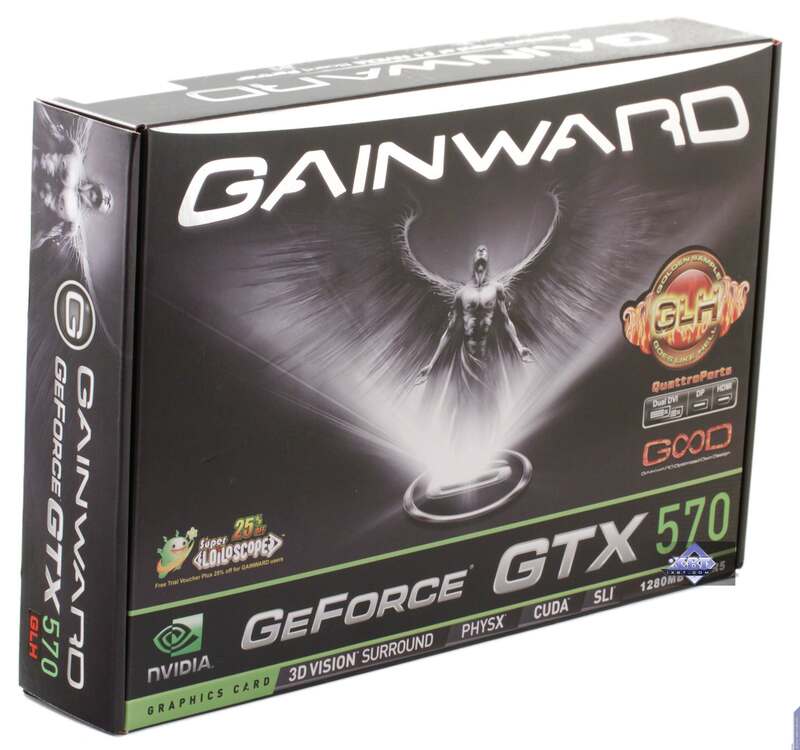 It seems that Gainward engineers developed a universal custom PCB suitable for both GTX 570 and GTX 580. 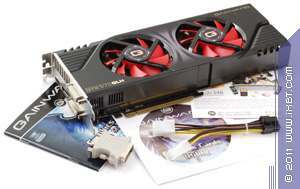 It has 8-pin and 6-pin supplementary power connectors as well as a 384-bit bus, both suitable for GTX 580. 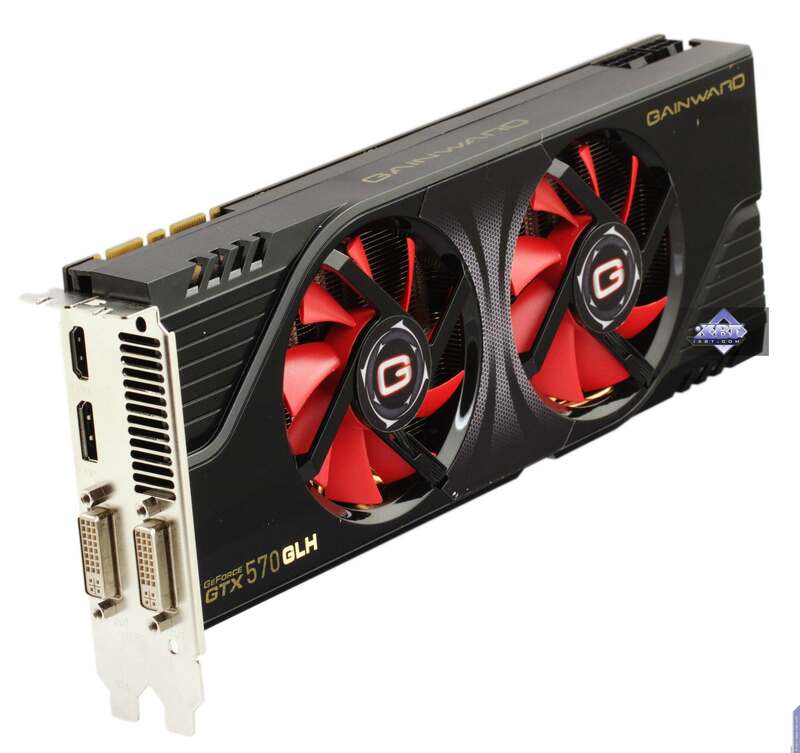 It's just that GTX 570 lacks 2 memory chips and has the bus reduced to 320-bit. 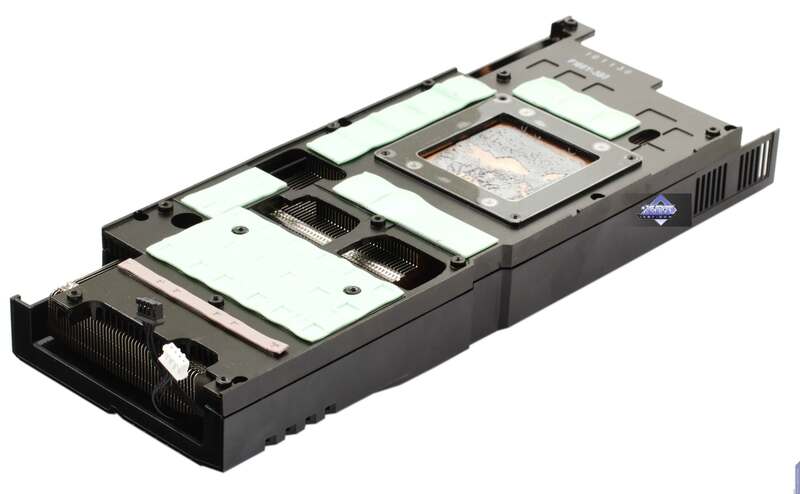 The aforementioned 8-pin power connector promises a certain overclocking stability reserve. However, the layout in general is based on the reference one. 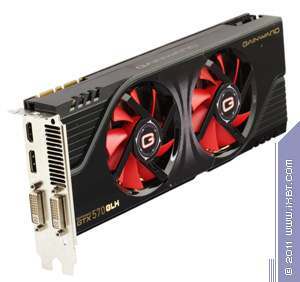 GeForce GTX 580/570 cards require supplementary power: reference GTX 570 has two 6-pin connectors, while GTX 580 — and Gainward's GTX 570 — has one 8-pin and one 6-pin connector. 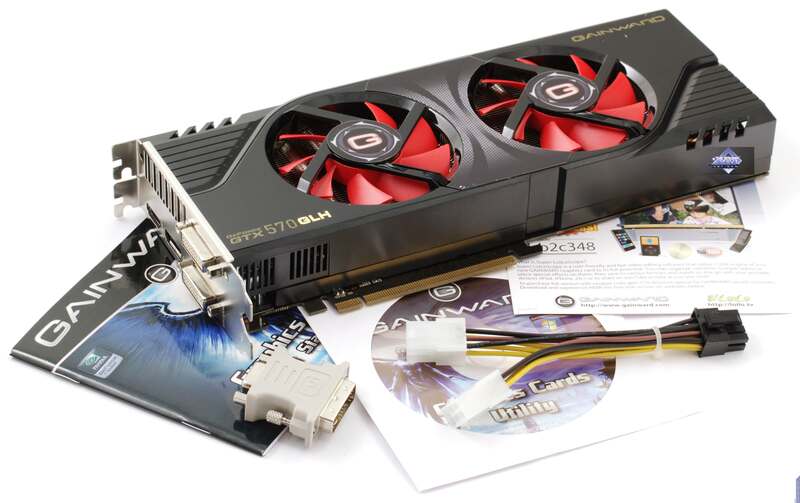 The cooler features a heatsink and a cover with two fans. 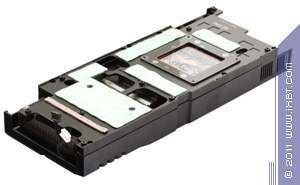 The former cools down both the core and memory chips and is reinforced with heatpipes. The fans are slow, so the cooler is nearly noiseless. 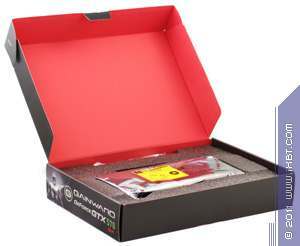 Although NVIDIA created a very efficient vaporizing chamber-based cooler that uses a cylindrical fan at one end of the cooler, Gainward prefers the good-old heatpipe-based design. Let's see how it performs. 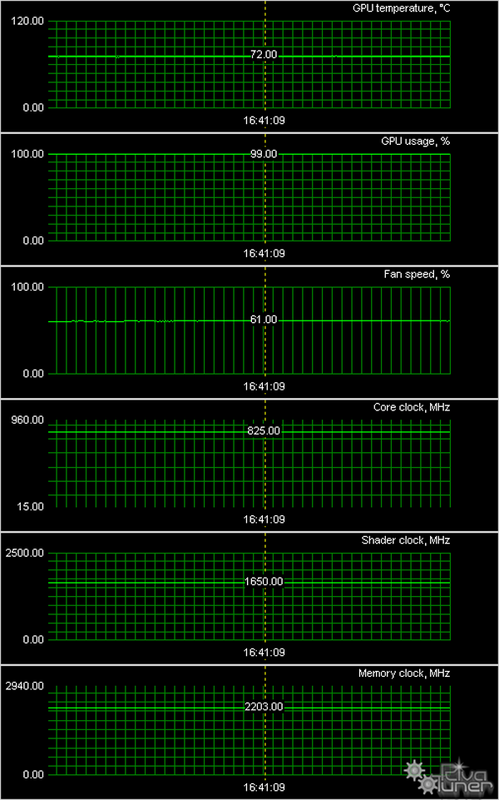 Traditionally, we monitored temperatures using EVGA Precision (based on RivaTuner). 71°C after 8 hours of continuous testing is simply an excellent result. Gainward did a really great job. A basic bundle should include a user manual, a software CD, and adapters where applicable. Now let's see what other accessories are bundled with each card. This is a basic bundle with a power splitter and a DVI-to-VGA adapter. 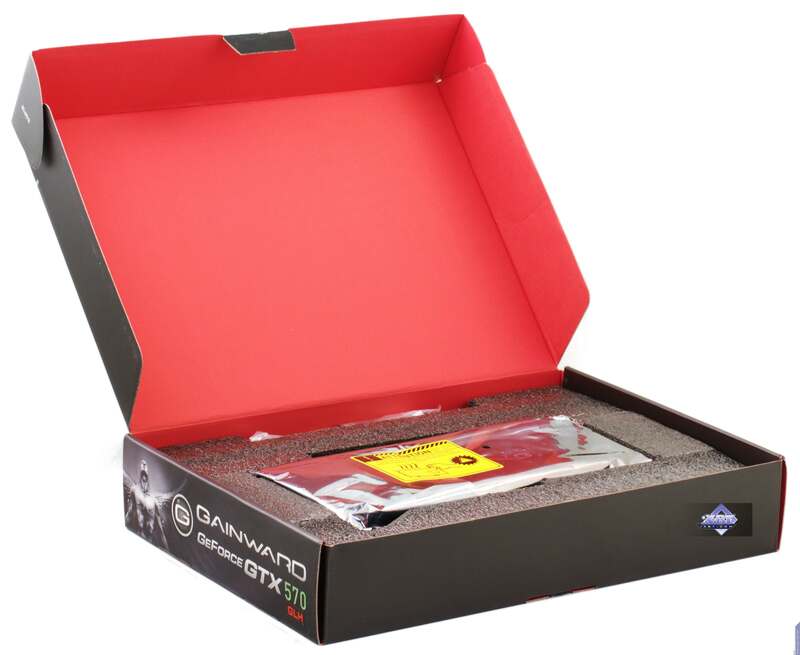 A thick cardboard box marked with the "GOOD" label (Gainward Own Optimized Design). The bundle is stowed into polyurethane foam compartments. The card is fixed securely to avoid transportation issues.